Last week, we welcomed high school students from Pleasantville High School, Peekskill High School, and White Plains High School to a Classroom to Screening Room Special Event screening of the documentary RBG, a delightful and surprising portrait of an extraordinary woman and an unlikely rock star: Justice Ruth Bader Ginsburg. 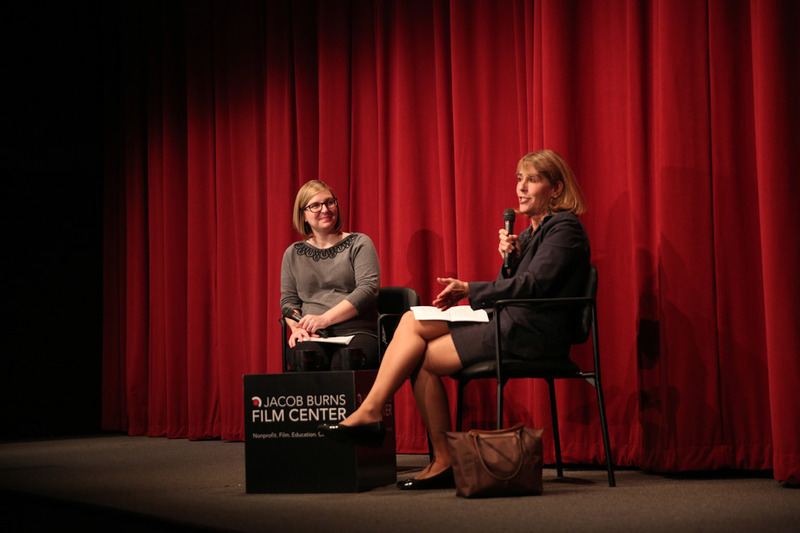 Following the screening, students participated in a Q&A with a special guest speaker, Honorable Gretchen Walsh, J.S.C. , a local judge who resides in Pleasantville. Students made many connections between topics raised in the film and current events surrounding the Supreme Court, current political events, and more, as well as discussing the filmmakers' choices in telling their stories. This was an exciting opportunity for students to engage with the film while also discussing current events and finding connections to their own communities. Interested in Classroom to Screening Room? Learn more here!